Three of the oldest musical cultures are united by the talented members of “Symbiosis” band, in a music night at Imaret. 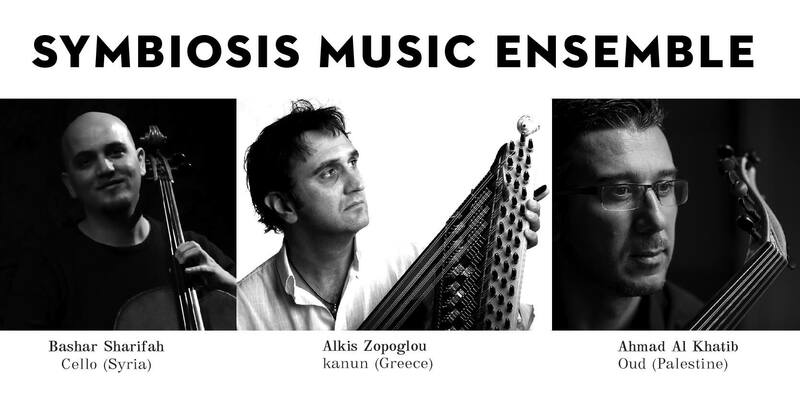 Using instruments such as oud, kanun and cello, they exchange their personal musical experiences originating from the traditions of their countries, those of Palestine, Syria and Greece. A long journey to places with rich cultural heritage, which continue to keep memories and traditions alive.